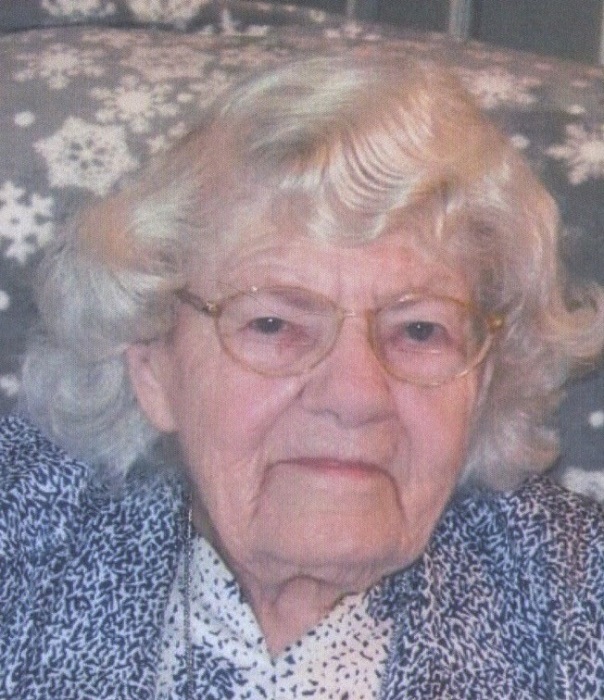 Thelma Theresa Deatherage, 94, of Emmitsburg, MD passed away peacefully on Monday, April 1, 2019 at St. Joseph’s Ministries with her family at her side. Born August 22, 1924 in Gettysburg, PA, she was the daughter of the late George Joseph and Alice Genevieve (Topper) Cool. She was the wife of the late Jack Harold Deatherage, Sr., who died in 1980. Thelma was a nurse for many years at the Home for Incurables in Baltimore and later served as the primary caregiver for the 2 & 3 yr-olds at the Seton Center Daycare in Emmitsburg. She was a member of St. Joseph Catholic Church in Emmitsburg. Thelma was a devout Christian who enjoyed collecting rosaries, crosses, and crucifixes. She enjoyed being a homemaker and spending time with her family. Surviving are her children, Jack Deatherage and wife Wanda of Emmitsburg, Therese Bennett and husband Keith of Summerville, SC, Michael Deatherage and wife Sheila of Mississippi, Mary Tietgens and husband Herman of Leesburg, FL, Ann Deatherage and husband Sidney Waite of Grand Island, FL and Joseph Deatherage and wife Diane of Mount Dora, FL; sisters, Mildred and Frances Cool; brothers, John and Joseph Cool; sister-in-law, Hilda Hemingway of Emmitsburg; 8 grandchildren; 7 great-grandchildren; and many nieces and nephews. She is also remembered by special nephew, Gerard Cool and wife Christine of Emmitsburg. She was predeceased by siblings, Sister Mary Angela Cool, Cletus, Allen, Albert, Lewis, Mary, Donald and Louise; granddaughter, Victoria (Bennett) Mandell; and great-granddaughter, Cheyanne Chavis. A Mass of Christian Burial will be held at 11 a.m. on Friday, April 5, 2019 at St. Joseph Catholic Church, 47 DePaul St., Emmitsburg, MD with the Rev. Martin McGeough, C.M. as celebrant. Burial will follow in New St. Joseph Cemetery. Arrangements have been entrusted to Myers-Durboraw Funeral Home in Emmitsburg. In lieu of flowers, memorial contributions in Thelma’s name may be made to St. Joseph’s Ministries, 331 S. Seton Ave., Emmitsburg, MD 21727 or to Hospice of Frederick County, P.O. Box 1799, Frederick, MD 21702.